If you have been hurt at work and are filing a workers' compensation claim, you may hear various unfamiliar terms such as "independent medical exam" and "impartial physician exam." Contrary to what you might assume, these are not the same thing. The Massachusetts Legislature enacted an Impartial Physician Program to assemble a group of doctors to evaluate workers' compensation claims after it was determined that past filed reports tended to favor the side that hired the doctor. The Department of Industrial Accidents gives reports by the impartial physicians prima facie evidentiary weight, so the impartial physicians serve as the judge's experts. In contrast, the insurer can retain its own doctors to conduct an "independent medical exam" or IME when there is a medical dispute. You should enlist a knowledgeable workers' compensation attorney to guide you through the process of seeking benefits in Boston or elsewhere in Massachusetts. At Pulgini & Norton, we can advise you if there is a dispute with the insurer about whether or not you are injured. Workers' compensation insurers use an independent medical examination when an injured employee's medical condition is in question. Insurers may use their own doctor, rather than the doctor that the worker would prefer. Workers' compensation insurers use IMEs when a claimant’s medical condition is at issue. It is not uncommon for an insurer to use an IME when the claimed injury is severe and requires expensive treatment, and the insurer is skeptical about the severity of the injury or the cause of the injury. At an IME, the doctor chosen by the insurer performs a physical examination that will result in written evidence and clarify whether the claimant should have any medical restrictions. 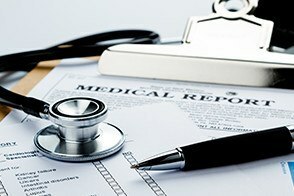 Doctors performing IMEs on behalf of an insurer on a regular basis are often selected because they routinely report that claimants are not truly disabled. The evaluation may also be used as evidence to deny a claim or at a proceeding to terminate benefits. Insurers may later use the evaluation as evidence to support termination of benefits or deny a claim. If you are injured at work, you should be aware that independent medical examiners are not necessarily independent. Insurers do not profit if benefits are awarded, and medical examiners are aware that they may not be retained again if they too frequently find severe disabilities. The IME is informed by in-house reports by the insurance company, the amount of the monthly benefit, and earlier medical records. Therefore, it is important to have the help of an experienced workers' compensation attorney when preparing for an IME and any conversations with an insurance adjustor. Both the IME and conversations with the insurance adjustor can be used to deny benefits you are owed. In general, it can be helpful to review your medical history with your attorney and practice describing your history and your current disability. Someone who can take detailed notes should come with you to the IME, and you may even want to meet with your own physician on the same day. You should avoid exaggerating any problems you may have. You should not try to give the answers you think the IME doctor wants to hear, and you should not ask the IME doctor for advice. Insurers do not have your best interests at heart. If you are hurt on the job, you should seek advice from your own attorney. The injury lawyers at Pulgini & Norton can help you prepare for an insurer's independent medical examination or an impartial physical examination. We represent clients in Hyde Park, Andover, and New Bedford, among other Massachusetts communities. Call us at 781-843-2200 or contact us via our online form for a consultation.